I had resisted entering for a few weeks pleading poverty…. But in the end there was no escape. I knew it was April and therefore I had to do The Heart Of The Wolds sportive. It’s the law. Downhill……positive pleasure….as long as it’s not too steep as my eyes start to water at 30 mph and I get a bit scared. Challenging ……you mean steep hills don’t you !? Oh come on ! 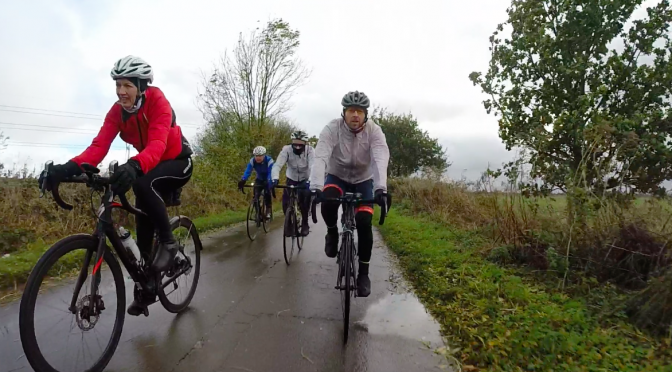 This year we would be doing the event with Rich who luckily turned up in his Cottingham Road Club jersey giving me the wafer thin justification I need to call this a club ride and therefore put this blog on the club website. In the summer there is very little motivation required to go for a bike ride. 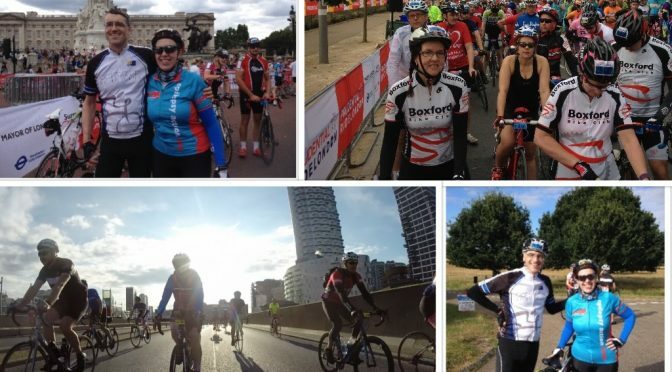 In warm and sunny weather you can’t wait to don the lycra and get out there and pedal. 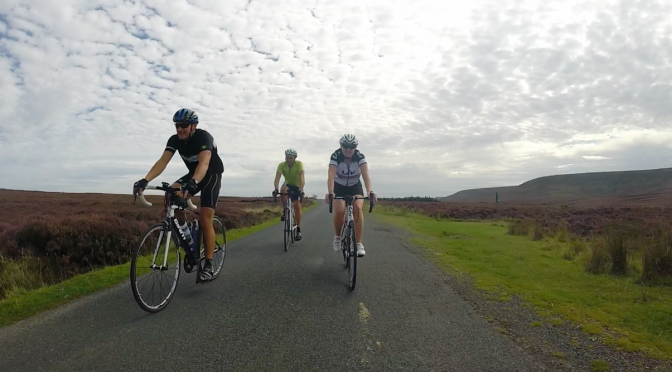 Some people even jet off to sunnier climes such as Majorca and Tenerife where the conditions are so perfect they are transformed into cycling gods biking near 100 mile bike rides day after day. Hull in November is a very different story. Cycling is a great way of keeping fit and healthy. We all know that. It has other benefits too. You can meet new people, make new friends and generally get out there interacting with the world. So when Chris put on the club’s Facebook page that he was going to arrange an “away day” it certainly got my attention. As soon as I read the words about a relaxed and social ride I was sold and I replied declaring that I was definitely up for it. 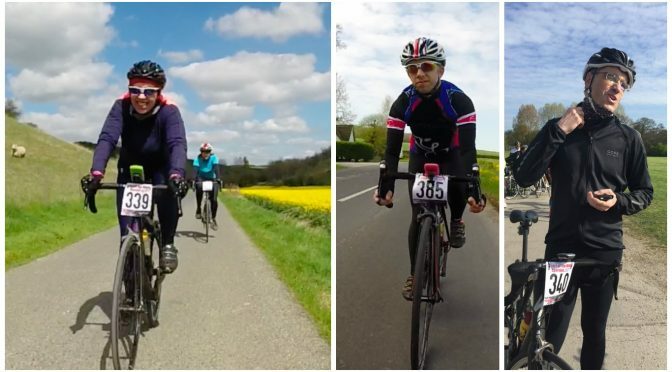 The route would be based on a sportive that Chris had taken part in previously called the White Horse Sportive. What an adventure this would be going on a road trip to find some new and exciting cycling territory. If only I had read Chris’s post a bit more thoroughly. Later when I had deigned to read the whole post properly and checked out the route the awful truth dawned on me. 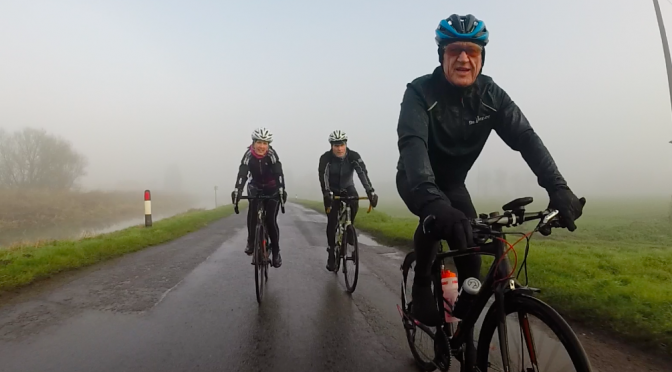 I had just volunteered to go on a ride in the North Yorkshire Moors. Nature provides us with some truly inspiring events. Epic migrations of thousands or even millions of individuals over land, sea and air. Driven by instinct they move across vast distances facing untold perils, hazards and predators in order to find new habitat on which to roam and survive. These amazing journeys driven by primeval urges take place across all species be they insects, fish, birds or mammals. But now a new species has evolved that also feels that urge to undertake an epic annual migration. Once a year at the end of July or early August they come from all corners of the UK and indeed farther afield and they head by land sea and air to a the concrete jungle of the Queen Elizabeth Olympic Park in Stratford. En masse they all then spontaneously cycle 100 miles. This incredible spectacle of nature has now been given a name. They call it Ride London.